The Tari of the Ythri Colony are somewhat recent additions to Celik. Brought to the ruins by way of the visions seen by Rinch Whitefang, a druid. The tari are convinced that Celik is the site of their ancient homeland, Ythri. Since coming to the Celik ruins a couple of years ago the tari have made a home for the colony in what is now known as the Ythri Snarl. The snarl is a bramblwood thicket, a relative of brambleweed, that encroaches on the western side of the ruins from the edge of the Silt Slough. The tari live in the Snarl instead of the Living City because they did not want to pay the "license fees" to explore the ruins Korsun Maraneth demanded. It is a source of contention between the two parties and they are as likely to cause each other trouble as they are to make deals in peace, depending on the situation and the tari involved. 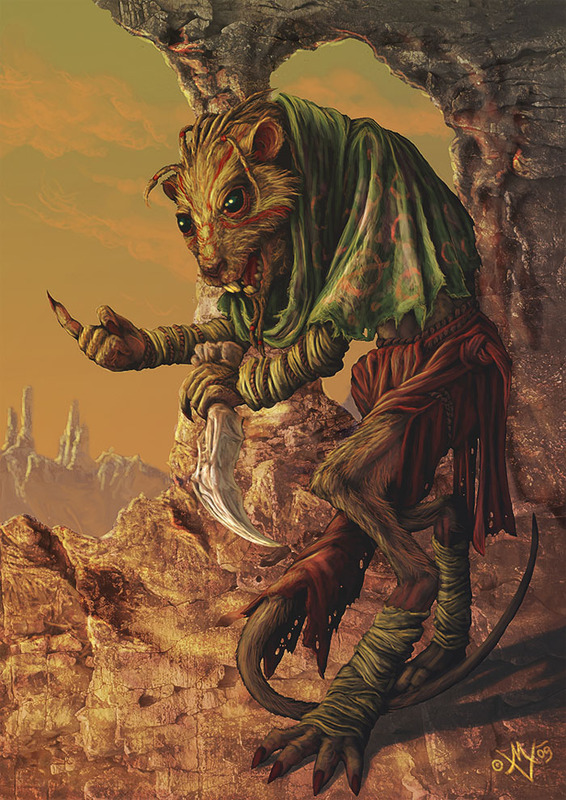 The tari of the Ythri Colony make a living scavenging the ruins as well as gathering in the Silt Slough and when time and resources permit they sent scouts into the ruins, searching for evidence of their ancient homeland. These forays are few and far between, because the tari are constantly at odds with House Maraneth, the Bog folk, the Stifling Sept, or some other local group or recovering from some environmental incident. Rinch Whitefang is the colony's Earth Speaker. After the colony was forced to flee Balic, due to misdealings by their former leader, most tari chose to follow Whitefang's visions of Ythri after their leader fell in a battle with Andropinis' Praetors. Rinch did not actually have visions of Ythri, but he chose to announce them in order to give his people a cause and a will to live. Kurask Quickhand is the son of the former colony leader. He is technically the leader of the colony, but Rinch Whitefang has much of the power lately. Kurask didn't have much choice but to follow the colony south after they were chased out of Balic and his people followed Whitefangs words. Kurask has spent much time in the Living City and prefers the city life to life in the Snarl. He'd rather pay Korsun Maraneth and stay in the city than the bramblewood snarl. He has some respect for the colony earth speaker, but does not believe that Celik is old Ythri. Vermik had been somewhat of an outsider to the colony when they lived in Balic, but they wisely heeded his advice as they crossed the desert to reach Celik. Now he enjoys a camaraderie with his people he never thought he had. He is thankful to Whitefang for his council and leads parties into the ruins as often as possible. He has fought all manner of creatures, from the undead to beasts called in psionically from the wastes.